As far as I can tell this is just all of the Dilbert strips from late '93 to early '95, packaged up in a book, and so as hit-and-miss as the strip itself. When Adams hits the nail on the head, it encapsulates the corporate experience perfectly. Sometimes it's just a little dull though. Released to capitalise on Schumacher's first retirement and hence not including his later stint at Mercedes. A balanced view on his controversial career and the man himself. Not at all what I was expecting. Despite the grandiose title, this slim volume is a mildly diverting collection of showbiz factoids; reading for the littlest room. I think David Hepworth has a better book in him than this. Average Brookmyre (which is to say, still good), average SF. Pleasant, boilerplate chick-lit. Nice enough plot but not enough romance and a small twist that was telegraphed way ahead. Informative but ludicrously opinionated and far too pleased with itself. Highly enjoyable but a little shallow. Retro themes good fun. Isaac Asimov observed that to include science fiction in a list of specialized literary genres, such as westerns, adventure, thrillers, sports stories or romance, is to miss the point somewhat. Science fiction can be any and all of these things. Since it must first be a story (at least to be worth reading), it might be a western, like much early SF, or it could be a mystery such as Asimov's own ground-breaking novels The Caves Of Steel and The Naked Sun. What makes it science fiction is not the type of story but the setting; to quote the good doctor again, that it "includes events played out against a social or physical background significantly different from our own". Anyone who reads SF knows that there's a lot of variety covered by this definition. Some books are really close to our own reality while some are vastly different. Some are more about the science than the fiction, others just the opposite. Brookmyre says in his bio (presumably he writes it himself) that he "has established himself as one of Britain's leading crime novelists. This hasn't stopped people from nagging him to write SF instead." It's interesting, by the way, that he classifies himself as a crime novelist. 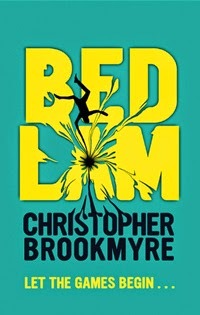 Recent novels from "Chris" Brookmyre notwithstanding, I would have said that most of his output belongs in the "thriller" category, and that's exactly where Bedlam fits too. What we have here is not really a massive departure for him. It is easily identifiable as a Christopher Brookmyre novel in both style and substance. It's just set somewhere else that doesn't exist (yet) and so is SF too. Unfortunately, as science fiction, it's fairly derivative. The notion of virtual worlds indistinguishable from the real world isn't new; the key texts here are William Gibson's astonishing Neuromancer (1982) and Neal Stephenson's wonderful Snow Crash (1992). The notion of multiple virtual worlds isn't original either: Ernest Cline's Ready Player One (2011) springs to mind (mainly because I'm reading it right now), but I'm sure there are others. Also unfortunately, as a Brookmyre novel, it's average. This needs to be considered in context though - it's still good. The notion of all the virtual worlds being versions of old PC games is quite nice (and is very consistent with previous novels' obsession with first and second generation FPS games like Doom and Quake), the overall story hangs together and the characters are well drawn. It's as highly readable as ever. I just feel that, in attempting to write SF, he's lost some of the essence of Brookmyre, but as SF it's not as detailed as I'd like. Still better than those dreary "Chris" Brookmyre crime novels though. Update (2018): I've since re-read this book at least four times and thoroughly enjoyed it each time. I'm not quite sure why I was so underwhelmed the first time - maybe because the aforementioned Ready Player One was so good - but it's definitely worth noting that it's improved with age. To the average rock fan, Billy Gibbons probably isn't a name that rings any bells. 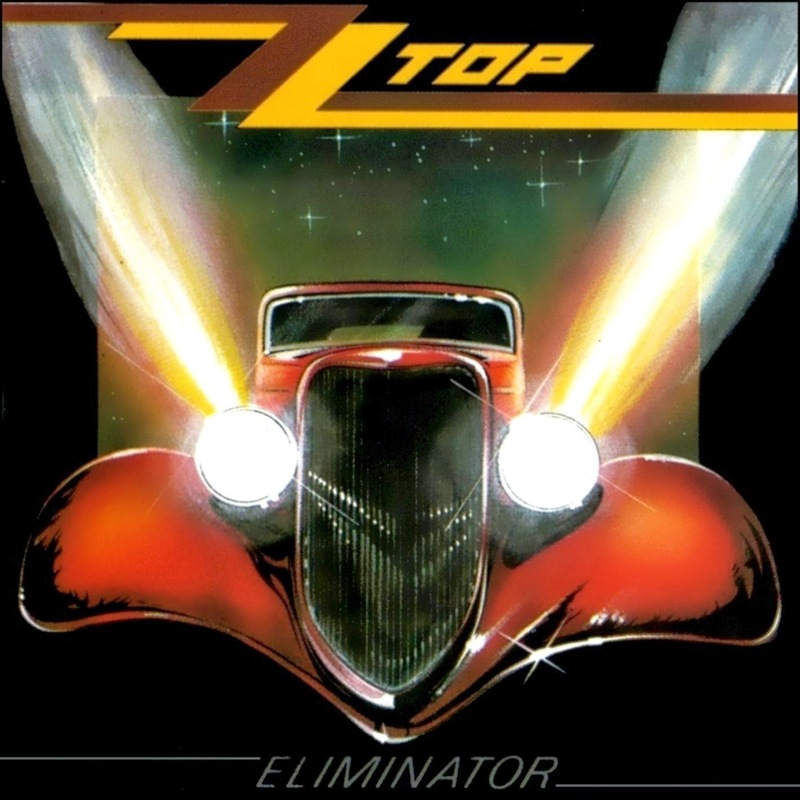 To the pop anorak, he's the guitar player and lead singer in ZZ Top, a Texas bar band who achieved a remarkably sudden commercial breakthrough with this album, Eliminator, its singles and the three made-for-MTV videos that went with them. But in rock guitarist circles, Billy Gibbons is, simply, a legend, known for his creamy tones and the fact that he (and his Les Paul) inspired one of the first artist-endorsed after market pickups (Seymour Duncan's "Pearly Gates"). I guess I need to hand my rock guitarist badge back then, because this is the first ZZ Top album I have ever listened to, and that only in the last few months. It's not quite what I expected. From a guitar perspective, there is some excellent playing and some fantastic tones, but what's really taken me by surprise is that this is, fundamentally, a pop album. Shorn of the rock colouring, most of these songs would have served perfectly well on any contemporary pop album. In fact, in some respects they are fairly ground-breaking - for pop. There's clearly some early computer-based tools involved here; the music is too clean and too precise, the repeated riffs too identical, to be anything else. You could replace the guitar with keyboards and not lose the essence of the song. Yet the best of them have clearly grown out of the bar-boogie ZZ Top were known for. The singles - "Gimme All Your Lovin'", "Sharp Dressed Man" and "Legs" - are classics and the best tracks here, of course, but I also rather like "I Need You Tonight", which has a wonderfully liquid guitar tone, heavy on the echo, effortlessly sustaining and fading into upper harmonics. It's the tone I aspire to when I play. The song is OK. The other album tracks kind of blend into one - good music, but not standing out much. Interestingly, possibly of most influence was the kind of guitar tone we hear on "Sharp Dressed Man" and "Dirty Dog", a heavily distorted, heavily phased sound much imitated through the 80s.